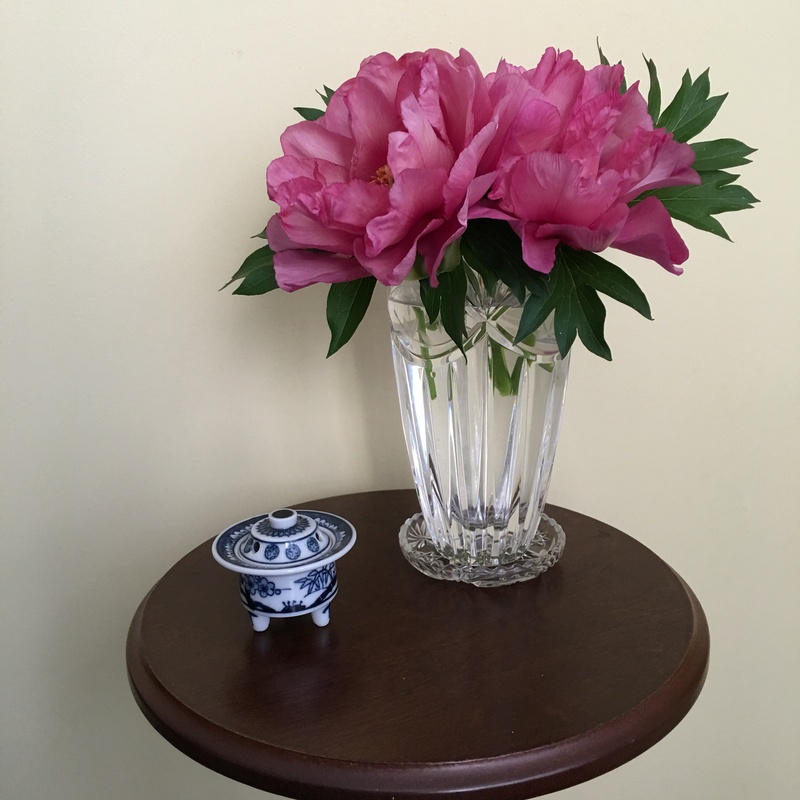 Our vase this week will feature our first peony to bloom. We have really fallen in love with Itoh peonies, and ‘ Keiko’ is one of our favorites. Itoh peonies are expensive but I think they are worth it. They are a cross between a traditional peony and a tree peony. They put out huge blooms, stand tall without staking, and, in a word, are beautiful. The invitation to share what is blooming in our gardens in a vase each week comes from Cathy at Rambling in the Garden. Please visit her and see what she and others are sharing with us this week. This entry was posted in Gardening, In a Vase on Monday and tagged In a Vase on Monday, Itoh peony, Itoh peony Keiko. Bookmark the permalink. I’ll have to look into these Itoh peonies with flowers that don’t droop! Thanks, Cathy. I will have to report on its lasting power when the end is near. 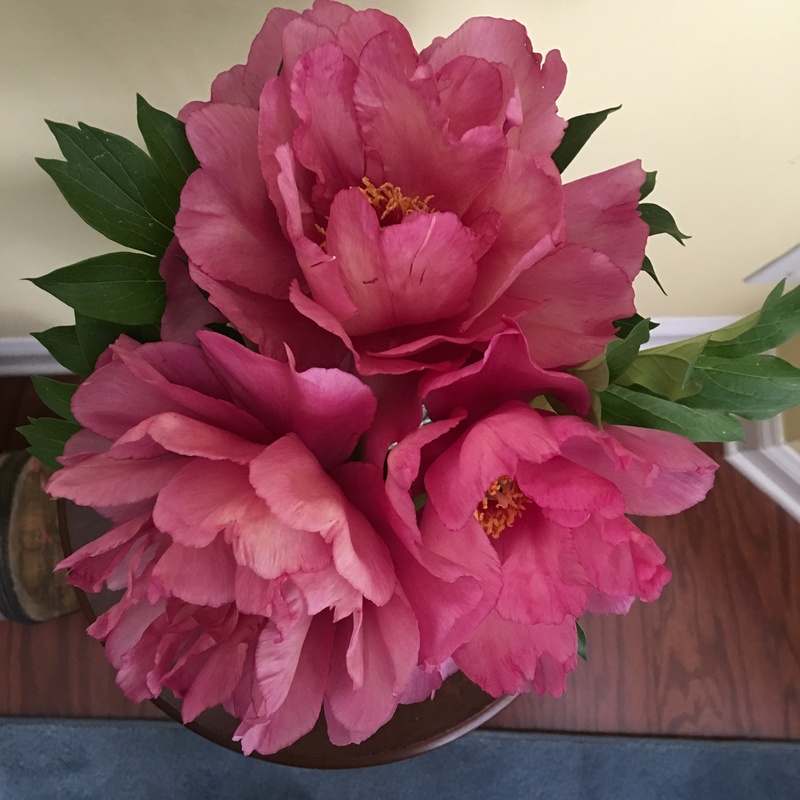 Oh what a beautiful pink peony….love the color….perfect for your vase! Mine will flower in early June! I have not grown any Itoh, but may have to after seeing this one! Do they also have a scent like the old-fashioned peony? They do have a fragrance, similar to herbaceous peonies. What a fine presentation! Thanks for another tip on a favorite plant. Thank you, Lindy. See my first comment above. Thanks, Amy. Keiko is my first one to bloom, but many are on the way. Such a beautiful color. Just saw Itoh peonies at NC Museum of Art in an outdoor display. Hadn’t realized before how special they are. Gorgeous way to display them. Thanks, Susie. I am becoming a real cheerleader for Itoh peonies. I’m incredibly jealous. 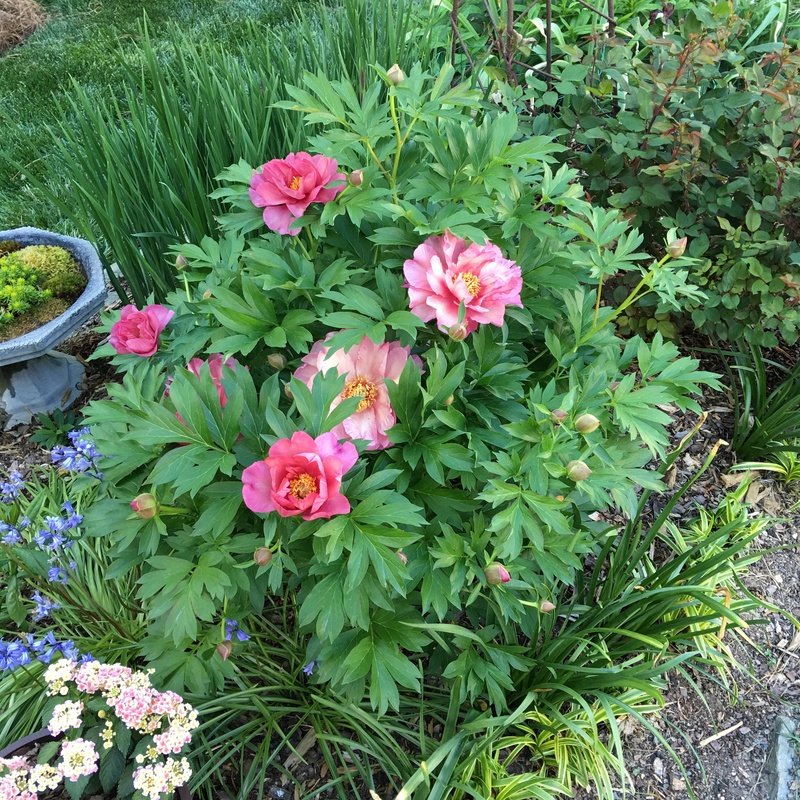 I’ve had that very same peony in my back garden for 3 years now and it bloomed once – the year I purchased the plant. Between the heat and our water restrictions, it doesn’t appear to like coastal Southern California very much but I haven’t given up (and dug it up) yet. Stay with it, Kris. I have two new Itoh peonies this year that came up beautifully but have no buds on them. Based on previous experience, they should be great next year. I think they are worth the wait….but it is frustrating. Good luck with yours. Yes, Marian. They have a fragrance, but not something outstanding. Just adore peonies – thank you for sharing! They are some of our favorites. Pretty color. We have a bit of a wait for peonies here. Thank you, Donna. Mine are just starting to open. The next few weeks will be glorious. ‘Keiko’ is a sumptuous peony! It is indeed, Jason. Thanks.